A step or a series of steps making the brickwork project farther out from it's original face. A masonry course corbelled out that forms a continuous ledge. 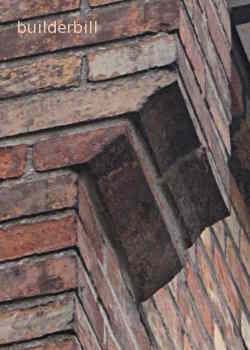 Above is some nice brick detailing that would have kept the brickies on their toes. 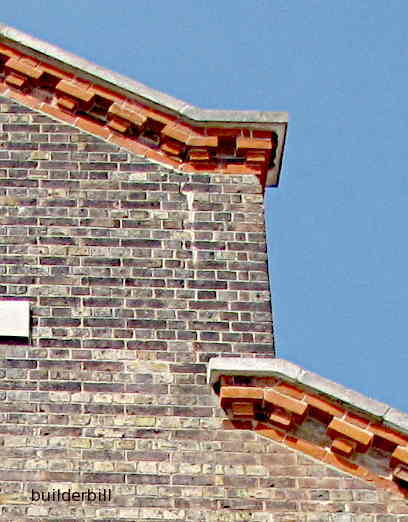 The gables have a stretcher raking course with headers sat on it to corbel out, with a stretcher on each corbel followed by a full course of stretchers. Topped off with a stone coping. 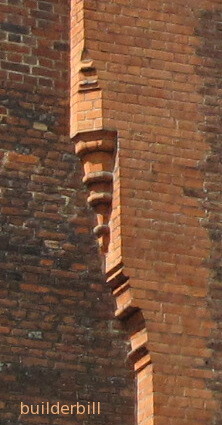 To the left here is some very finicky Victorian era purpose made corbels seen at Hampton Court Palace, corbelling out for extra chimney width at an upper floor level. At the right are some purpose made corbel bricks for the rest of us. 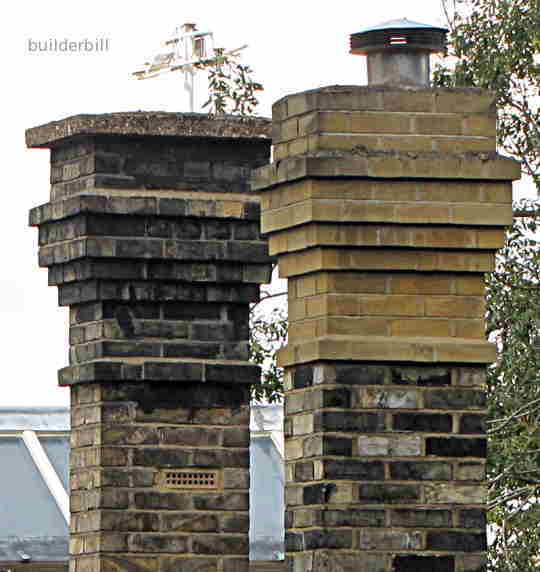 Simple no frills corbelling out of a couple of chimney stacks.